Something changed two weeks ago and I now get an error message when I try to log in. Customer service blames Apple. I have cancelled my subscription. This app was very good, but in the last few days has stopped working. It's Monday 13 March 16 and it's stuck on last Fridays paper. The previous review said it wasn't working on iOS 10.3, presume that person has a beta version since the current version is 10.2.1 which is what I am running. 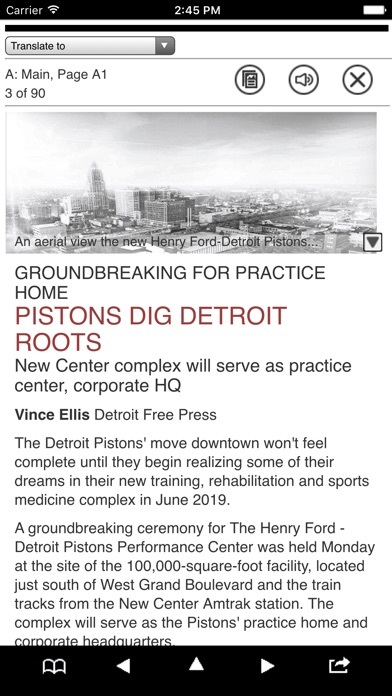 Attempts to get support just send you to the Freep website, not the developer who is the one to fix this issue. The app is not working in iOS 10.3. I am very impressed with how the app works! For months, I've had a subscription but have not read the paper much because of the difficulty of reading it online. Once I downloaded this app, it made reading the paper a breeze. I'm so glad to finally have a way to easily read the paper and take advantage of my subscription again! The size of the print is easily adjustable, and it is easy to go between the newspaper image and the reading view. Searching is also a breeze. Although you can print an article, I wish there was an easy way of saving/clipping an article to a PDF other than taking a screen shot. Although there is a little bit of a learning curve, I'm glad that the app is working well for me. The app won't even go past the login screen. The old app worked perfectly. This one freezes, shuts down, doesn't load articles properly. I give it 0 stars. It's really horrendous!!! 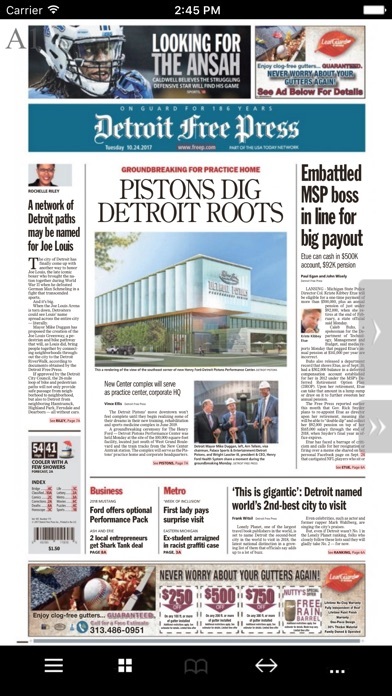 I've used a similar app from another Gannett paper, the (Port Huron) Times Herald. It works just fine. This app doesn't work at all. I've never seen an e-edition using this app. I can log in but all I can get is a bad version of the regular app. It is off center and not very navigable. Hard to navigate, user unfriendly.